SAN FRANCISCO (Reuters) - Microsoft Corp will begin selling its Xbox One video game console in China in September through its partnership with Chinese Internet TV company BesTV New Media Co, the company said on Tuesday. The partners will also kickstart a program to help developers create, publish and sell Xbox One games in China and other markets where the console is sold, Microsoft said in a statement. In September last year, Microsoft and BesTV, a subsidiary of Shanghai Media Group, formed a joint venture and invested $237 million in "family games and related services." Last week, Shanghai's government said console makers such as Microsoft, Sony Corp and Nintendo Co will be able to manufacture and sell consoles in China through "foreign-invested enterprises" in Shanghai's free trade zone. China had banned game consoles in 2000, citing their negative effect on the mental health of its youth. It temporarily lifted the ban in January. Pirated and smuggled consoles have been available in China during the ban, but they sold poorly as Chinese gamers predominantly play PC and mobile games. 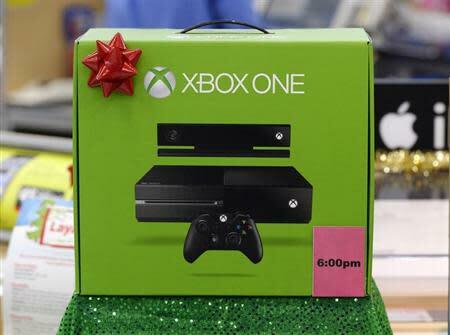 Microsoft has sold more than 5 million Xbox One video game consoles to retailers since its launch in November. The announcement was first reported by Re/code on Tuesday.